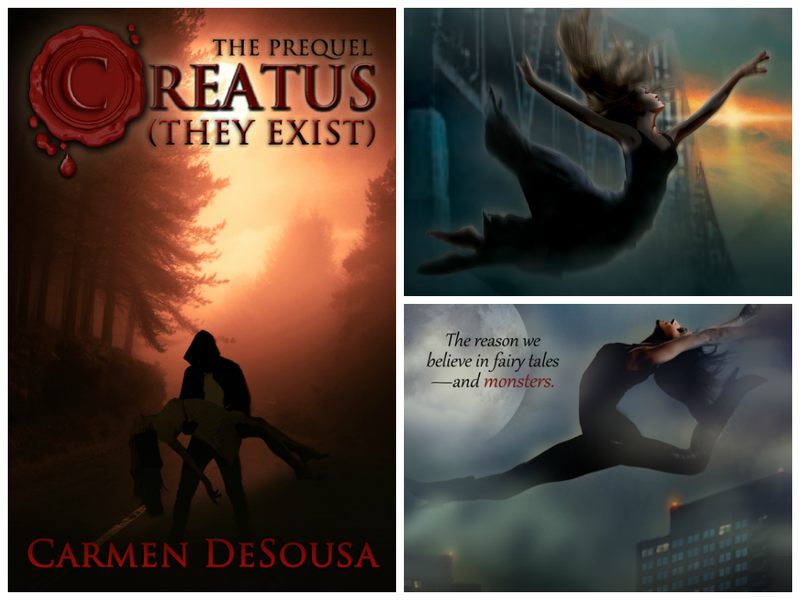 Carmen DeSousa: Why CREATUS? How do they differ from other supernatural beings? Why CREATUS? How do they differ from other supernatural beings? I enjoy reading almost all genres, but one of my favorites is a little-known genre called ‘magical realism’. I love when an author can take normal characters who live and work among us, but then give me insight on what makes their character special and why they have a story to tell in the first place. Whether it’s about psychic abilities, soul changing, or even paranormal activity, the key for me is that it’s believable--or at least plausible in some sense. The idea of a person shifting into an animal form that's ten times the size of its human form, or a person having the ability to fly without the required body mechanics, makes little sense to me. But, I can’t discount that since biblical days, stories have amassed about sentient beings with superhuman strength. CREATUS, from the Latin word meaning 'created' are the reason we believe in fairy tales—and monsters. Superheroes didn't come about by being bitten by a vampire, a werewolf, or a spider. Instead, perhaps the same superior being who created us created them. Happy Tuesday, Carmen. How's it going? I have very little time to read each day, and my TBR pile fell over long ago, but I promise I will be making room for one of yours very soon. You've got me really curious about this one. Anyway, I hope things are well with you and yours. Have a great week! Oh, I definitely agree with you, especially with this one - "Superheroes didn't come about by being bitten by a vampire, a werewolf, or a spider." Superheroes are made/created, not born, and absolutely not mutated. Now, I've gotten more curious about your book! I will add this up to my TBR list..